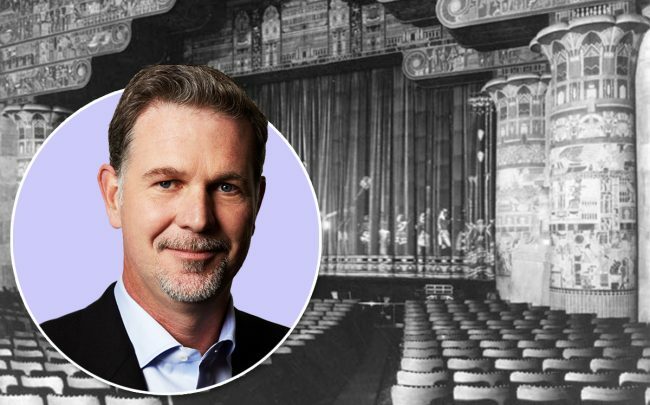 Netflix may be killing the traditional movie industry, but the streaming giant now appears to be in talks to buy one of Hollywood’s most famous brick and mortar theaters. The streaming giant is negotiating to acquire the landmarked Egyptian Theater on Hollywood Boulevard, according to Deadline. The owner is nonprofit group American Cinematheque. Sid Grauman opened the Egyptian in 1922, five years before he opened his more famous movie palace, the Chinese Theater, just around the block. Because of its disruptor status, Netflix is still considered a threat by some in the industry. Hollywood titan Steven Spielberg took heat earlier this month for reportedly trying to block films that debut on streaming services from qualifying for an Academy Award. Netflix has made a massive push to establish itself in Hollywood — both literally and figuratively. The company leases 458,000 square feet at Hudson Pacific Properties’ Sunset Bronson Studios and last fall expanded its footprint in Hollywood by 683,000 square feet with leases at HPP’s Epic office development and Kilroy Realty’s Academy on Vine project.